"Why is Monday so far from Friday, but Friday so close to Monday?," is the age old question I ask myself every Sunday afternoon. For some reason, everything is louder, slower and more annoying on Monday - and you may wonder just how you will make it through. 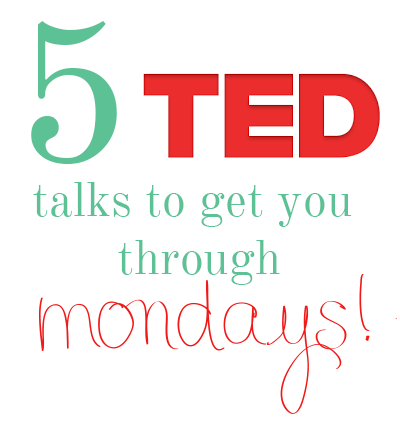 Personally, I love watching an inspirational Ted Talk to get me going when I'm singing the Monday blues and today I'm sharing five of my go-to talks. Some are short and some are long, but they are all sure to leave you feeling inspired to take on Monday. Phew, what a week! Between work training (wahoo summer camp!) and making sure everything on the blog runs smoothly while I'm at work, it's been a crazy week! My plans this weekend are definitely low impact as I plan to catch up on missed sleep! As always here are some links for the road! This is a really interesting perspective on the digital age we live in today. It raises some really good points, but I don't think technology is 100% negative! Watch for yourself and decide! There seems to be a number of sales happening right now! Kate Spade has a great one going on until July 6th! There are some great limited edition items up for sale now - so head on over to Kate Spade and don't miss out! I came across this picture on Pinterest and managed to track down a recipe. 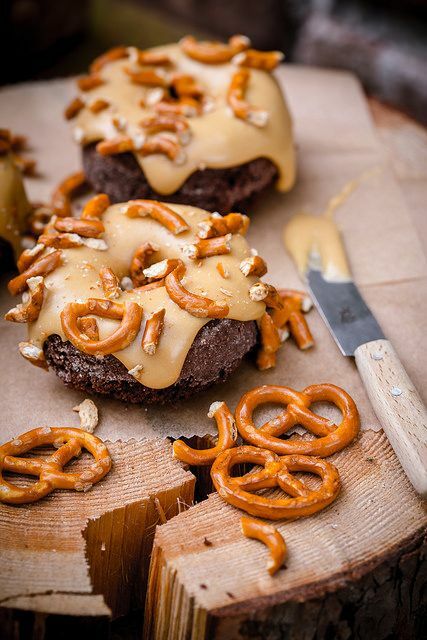 Seriously, go check out this recipe right now and make these over the weekend. You won't regret it. I'm pretty sure that I've talked about Alex Goot on the blog before. He is an amazing artist who makes YouTube videos (both covers and original stuff). He just teamed up with Against the Current to cover "Find You" by Zedd and I love it!! It's so soulful and also really fun! I have very thick, curly hair that easily frizzes - so when it's super hot outside I prefer to keep it up and out of my face. I also don't like to overuse the hot tools (blow dryers, curlers, straighteners) because they make my hair feel very dry and brittle. Braids are a very simple and chic solution for hot weather. 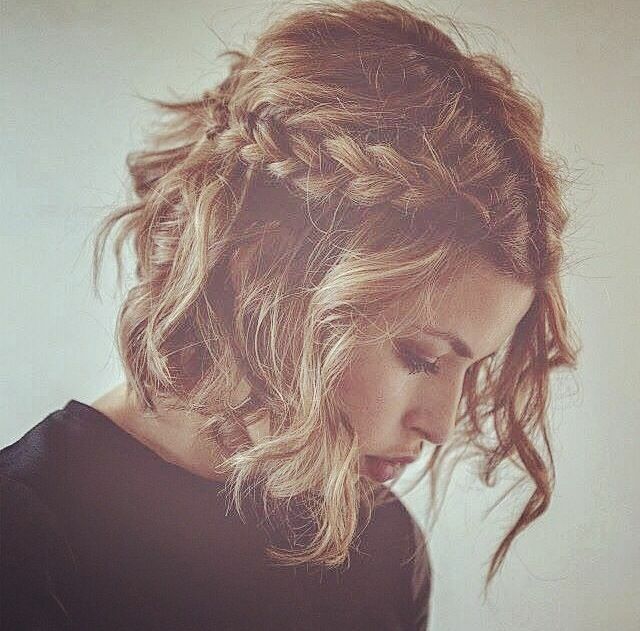 It doesn't take much to do a braided hairstyle and they can take you from day to night! 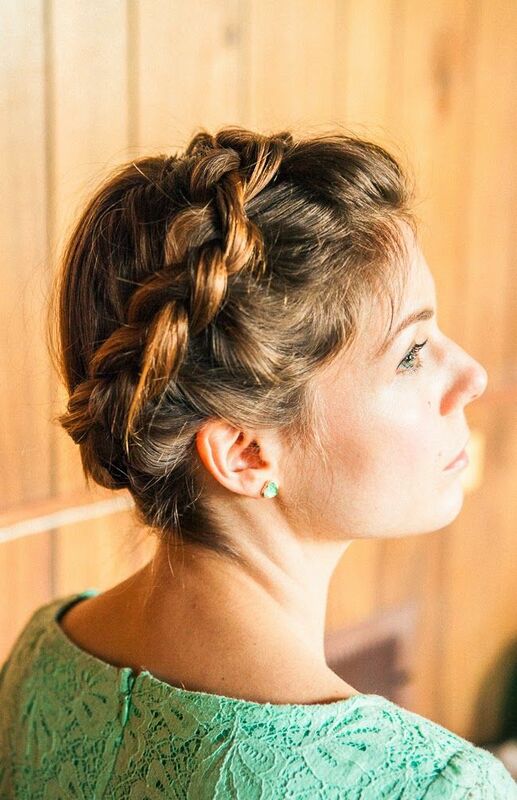 Do you love braided styles for hot weather? J. Crew is having an awesome sale right now! You can currently save up to 50% on already reduced items! Now is definitely the time to grab those items you've had your eye on! I complied my favourites in the widget, but definitely head on over to J. Crew to see everything! 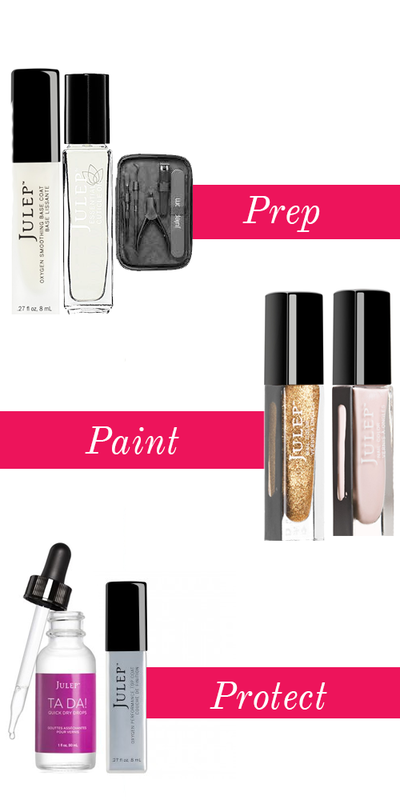 Today I have a quick how-to for you that puts my last nail polish post to great use. Once in a while I love to splurge on a manicure, but most of the time I do them for myself at home. I've managed to narrow my process down into three key steps which result in a great looking and long lasting manicure! 1. Prep - Get your nails ready by shaping with an emery board, cleaning with a quick swipe of nail polish remover on a cotton ball, and moisturizing the nail bed with some cuticle oil. Follow up with your favourite base coat. 2. Paint - Refer to my mani-pedi chart to determine your polish colours! Once you decide on your perfect pairing paint your nails by dropping a small dot of polish on the base of the nail and then spread it up and to the sides. 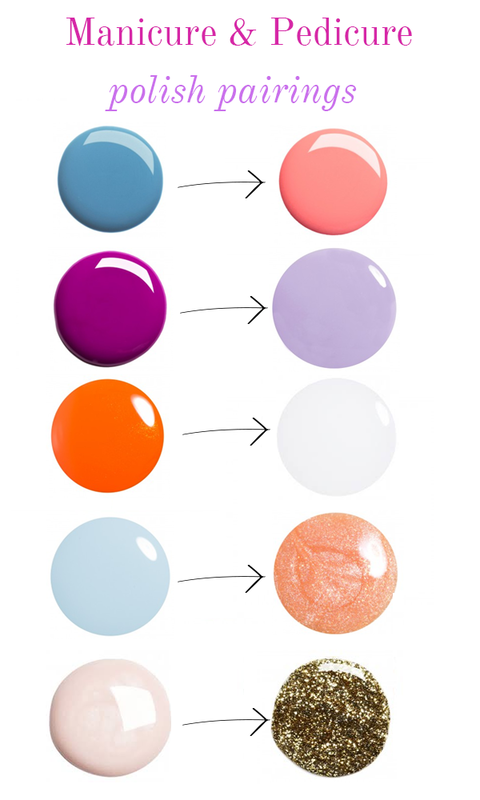 You most likely will need to repeat this step because most nail polishes do not look so great with a single coat. 3. Protect - If I've got to get out of the door, I will use these awesome quick dry drops. They basically freeze the polish so that you can go about your day. When I have time to sit and relax, I turn to a regular top coat. Though the drops are convenient - they do not keep your manicure for as long as a standard top coat. Voila! Stare in awe at your fabulous DIY manicure! Do you prefer at home or salon manicures? This week has had its fair share of ups and downs so I'm pretty happy that it's over. I can't believe that another month (and quarter) is coming to an end so quickly! This weekend I'm planning on playing catch up with responding to comments and getting prepared to start a new quarter of the year! As always, here are some links for the road! Make your own fabric covered iPhone case with Martha Stewart. This is a really simple tutorial with few steps to keep up with. These cases could make fun gifts for the techie in your life. I found this game while browsing the App Store and impulsively decided to buy it. The concept is simple - follow the line with your finger. However it gets tricky really quickly! A great game if you need a little break from work! I can admit that my love for monogramming is a little crazy (though I would never place a monogram on my big toe....) so when I saw the new arrivals at Mark and Graham, I was pretty excited. I would consider this brand to be a little on the higher end side - so to me some of the items are investments! 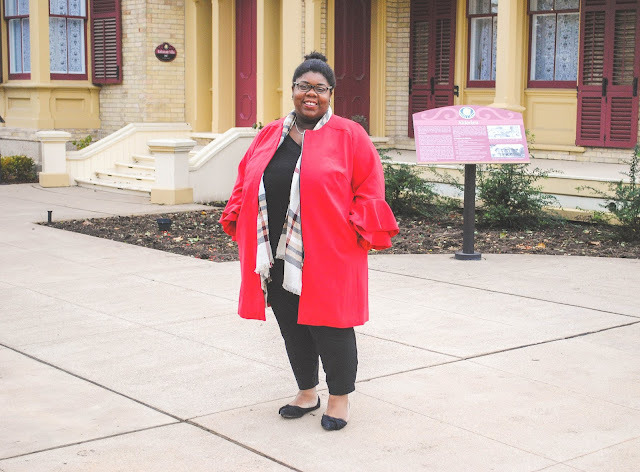 I really love the Oxford top and broach! This video is awesome and hilarious! These four women push the boundaries of playing classical music while adding in a comedic aspect. This video gave me a great laugh and left me wanting to pick up the piano again! I've been longing to take a trip to the beach. I love reading a book on the warm sand, people watching, and eventually going into the water. Sadly, the polar vortex has delayed the opening of beaches in my area because even though it's super hot on land, the water temperature is only slightly above freezing! While I wait for the beaches to open - I've been thinking about snagging the perfect beach bag. I've definitely come a long way since my beach bag and towel in one combo and I'd like something more chic. Personally, I think any stylish tote will do. This way you can use it all summer long at the beach and then keep using it for the rest of the year for various other things. I found some great totes that fit the bill and now my challenge is choosing just one! Which tote is your favourite? These days we are always connected. Phones, tablets, laptops - you name it. When I was in the third grade I remember being really excited to setup and receive my first e-mail (over dial-up internet no less). To me it was pretty incredible that a message I wrote on my computer screen somehow traveled through my phone line to my best friend's computer screen. These days though, my inbox is a huge source of stress. Between work, school, blogging and bill payment e-mails I sometimes dread opening up Outlook. But do you know what I never dread receiving? A good 'old fashioned' letter. I love handwritten correspondence because of the effort that goes into it. Picking out the perfect stationery, writing out the perfect message, sending the letter off and waiting to hear if your loved one received it are reasons why I love handwritten letters. E-mails are fast and sometimes great, but I think once in a while we should surprise our loved ones with a fun handwritten letter! 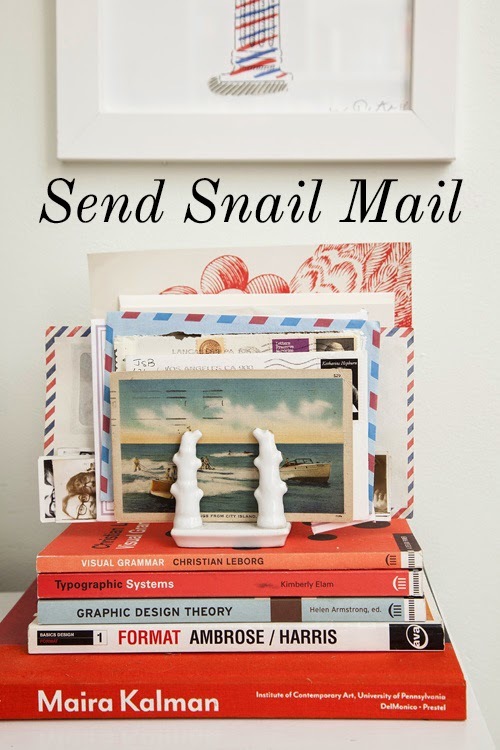 Plus sending snail mail gives you the perfect opportunity to grab some beautiful stationery and pens! Wins all around! About this time of year I like to go through my closet and take an inventory. I like to make a list of items that can be donated or just need to be tossed. 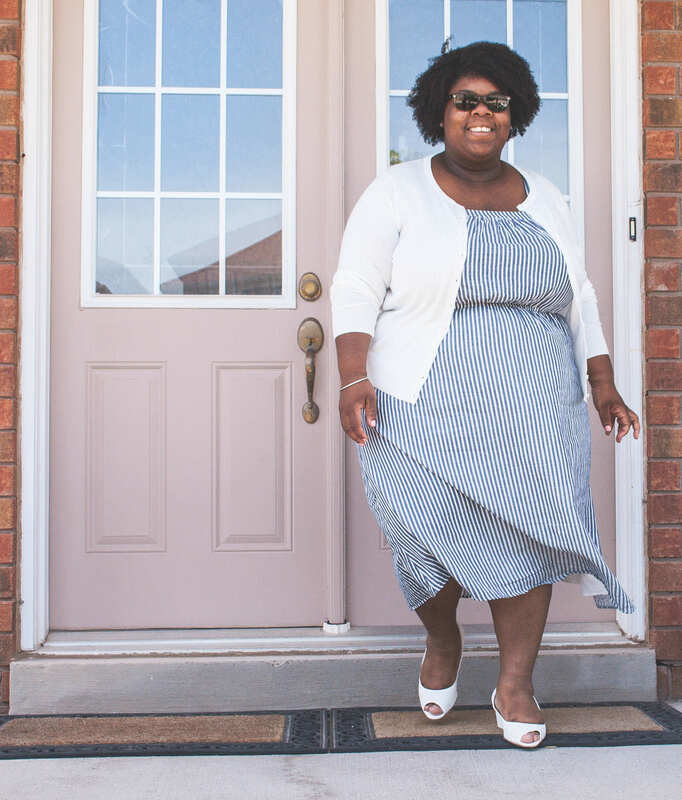 Often the items that need to be tossed are items I consider to be my wardrobe staples. Since I wear these items so often, they usually have a high turn over rate. For this reason, I don't spend an arm and a leg on these items. I try not to skimp on quality though - because I still want my clothes to last as long as possible and look great! I put together a little list of my favourite budget friendly staples. These items are my can't-live-withouts which don't break the bank! 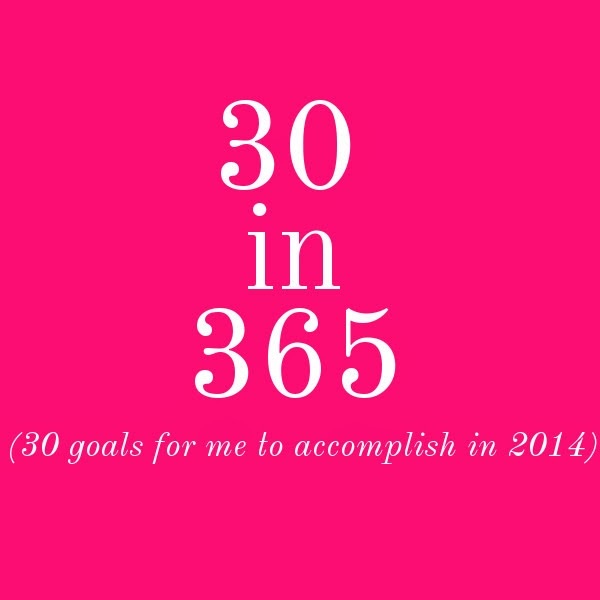 I've gradually been checking things off from my 30 in 365 list. When I compiled the list, I thought of things that I always say I want to do, but never follow through with. Making this list and sharing it online is a great motivation to get stuff done! Last year I twice missed the opportunity to see Phoenix live. They are my all time favourite band (search them on YouTube) and I needed to see them live. Truthfully, when I wrote my 30 in 365, I wasn't even sure if they were going to be touring this year!. So imagine my surprise when I saw the announcement that they would be coming to North America this year!! 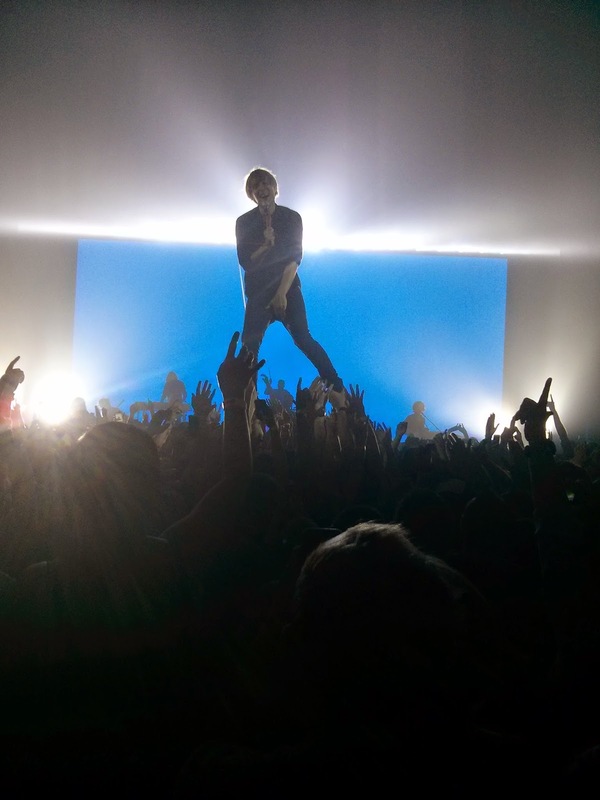 The concert was last Wednesday and it was awesome! I went with two of my sorority sisters (hey guys!) and we had a blast! 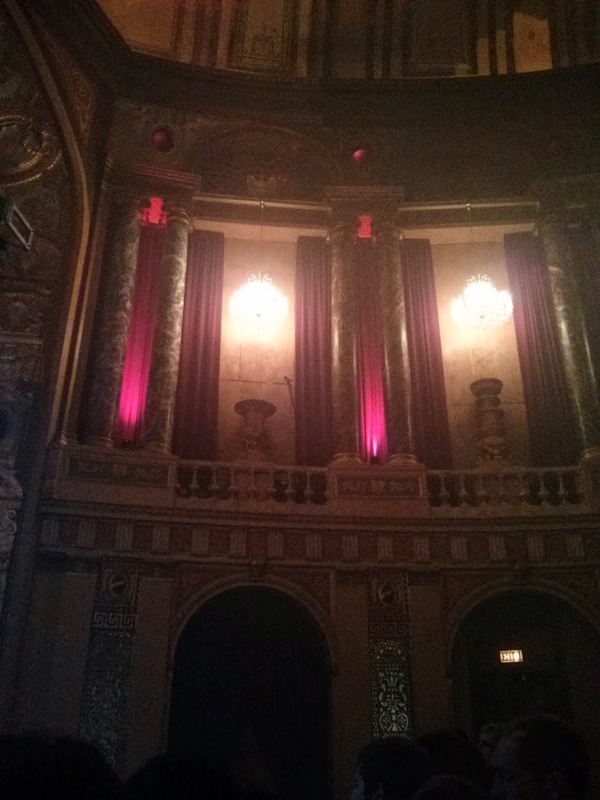 The concert was in Detroit at The Fillmore. 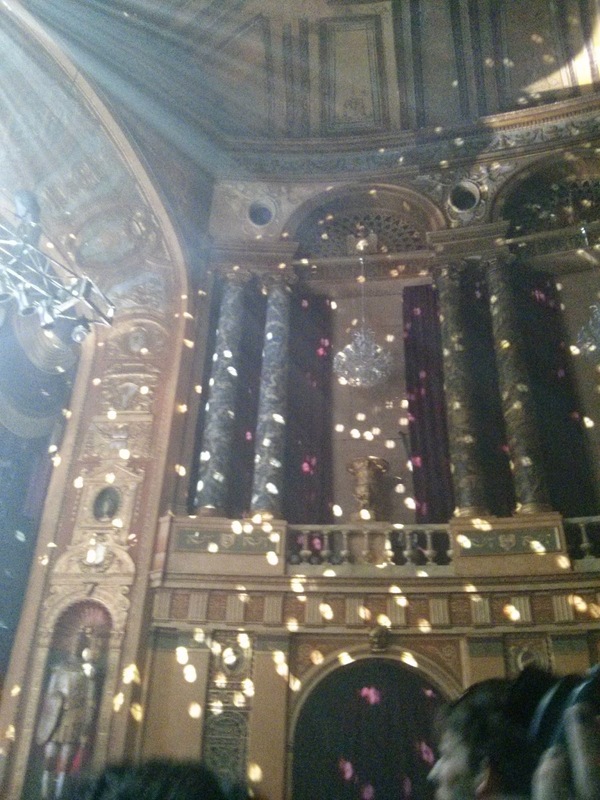 It's such a beautiful venue! 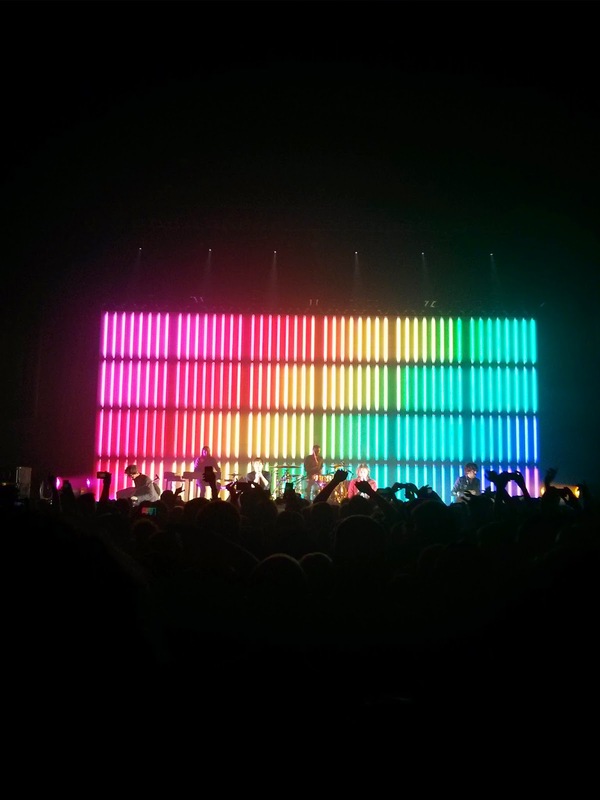 Phoenix played all of my favourite songs and it was such a blast singing (read: screaming) along and dancing! There were all sorts of people there and I still get goosebumps thinking about how people so different from one another can all come together to see one artist. It really shows how universal music can be. After the concert we (naturally) wanted to eat. We settled on McDonalds (horrible..I know) and after being misled by the GPS for a good 20 minutes, we found one, bought really cheap 'food' and headed back across the border! This week has been crazy. 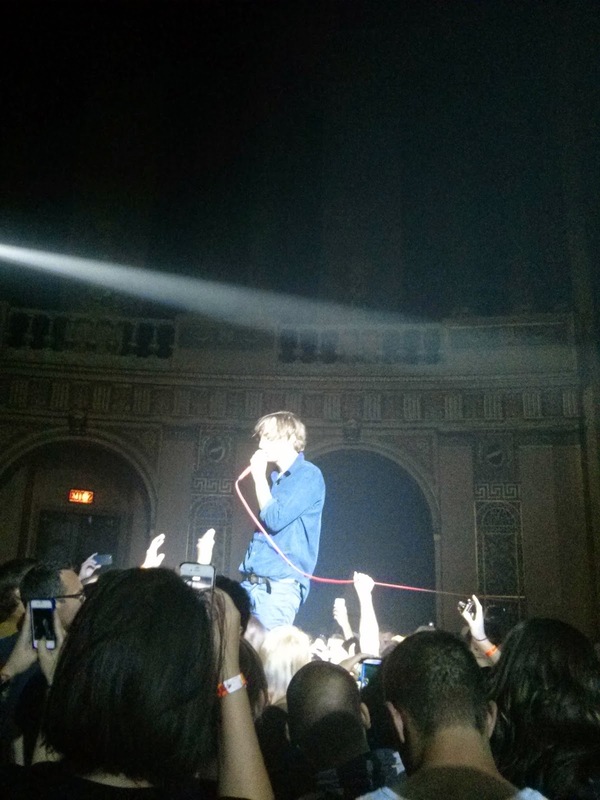 I took a really quick trip to Windsor to visit friends and see Phoenix in concert (!!!!) I spent a couple days away from the computer and was welcomed back by a wall of e-mails, comments and notifications, so I'll be spending my weekend catching up! Here are your links for the road! I love this series on Teen Vogue's YouTube channel. My eyelids can get quite greasy at times so this simple tutorial is really helpful! Only three steps and you're good to go! This is actually pretty cool! Five Labs analyzes the text of your Facebook posts to predict your personality. I tried it out for myself, and I have to say that the results were pretty accurate! You can try it out for yourself! I love Alex Goot. He has a great YouTube channel where he covers songs and even has a bunch of original songs! I love this cover he did of Unconditionally! So good! 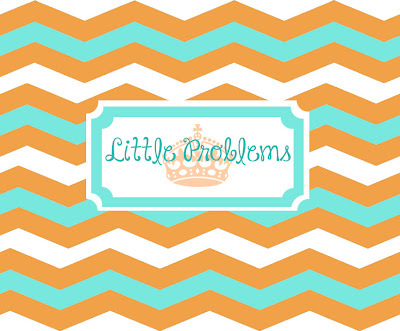 PS: Don't forget to enter the Little Problems giveaway! I always have the most difficult time picking polishes for my manicure and pedicure. A full with hundreds of polishes and you can only pick two - pretty overwhelming if you ask me. With summer (almost) in full swing, I'm sure there will be plenty of visits to the nail salon in your future. To make the process easier, I put together a little guide with perfect polish picks (holy alliteration) for your summer mani-pedi! Here's to your best mani-pedi yet! For someone who loves Kate Spade - I am always behind on the surprise sales! This sale is travel themed, and as always they have some really awesome stuff! I've picked out some of my favourites from the sale, but pop on over to Kate Spade to see everything! Calling all sorority women! 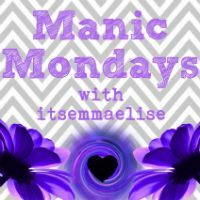 I have a great little giveaway from a great small business! Little Problems is all about sharing the love you have for your big/little, through the adorable items offered in their web store. Summer break is the perfect time to start thinking about future little gifts and I think the koozies, cups and sunglasses would make an excellent addition to any little basket! PLUS a portion of the sale price is donated to charity! The combination of love for your big/little, online shopping and charity is every sorority woman's dream! 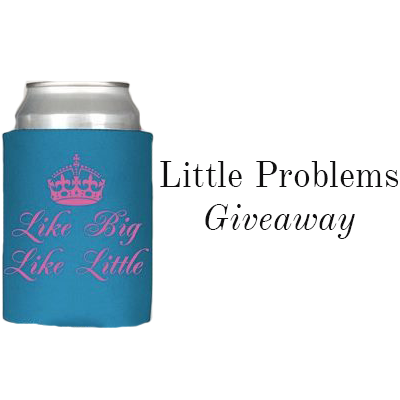 I teamed up with the awesome ladies at Little Problems to give away a koozie! They are gearing up to launch brand new products and right now you have a chance to get a koozie before they even ship! Enter to win one for yourself and then head on over to Little Problems to grab a few more for your family tree (at a special summer price)! *This giveaway is open to participants in Canada and the US! 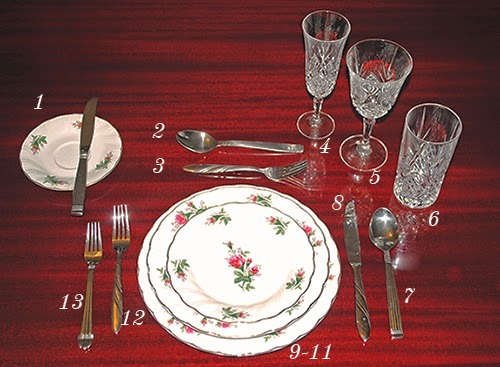 Prom and wedding season is upon us which means you may encounter a formal place setting in the near future. Even if these events aren't coming up for you right now - this is still a great little post to keep on hand. TGIF! The weekend is upon us once again which means Weekend Links! Everyone loves macarons! They are cute, colourful and delicious. This Martha Stewart video takes you behind the scenes of the most well known macaron producer: Laudree. It was really interesting to learn a bit about their history and macarons in general! It had been a while since I had watched this documentary, so I decided to sit down and watch it again. DO NOT watch this if you a) are hungry b) don't want to give up meat. J. 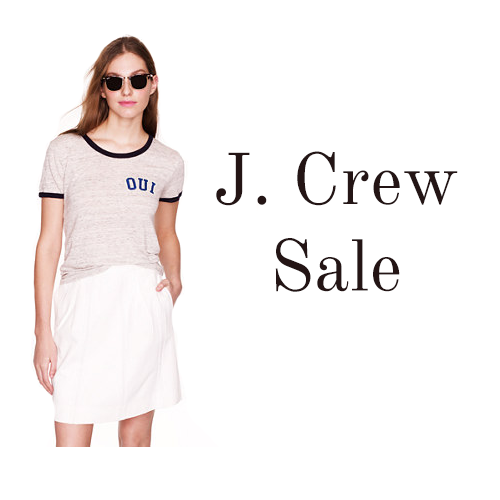 Crew is having a great little sale now through the 8th. Use the code SUMMERTIME to receive 25% off of select summer favourites! You can scroll through the widget to see my picks or head on over to J. Crew to see everything! I love this little series on Sephora's Youtube page! Using second day hair, Bumble and Bumble's pret -a-powder and a few hair pins you can create this timeless hairdo in under 5 minutes! What plans do you have for the weekend? If I had to compare - I would say that Father's Day is way tricker than Mother's day. My mom is definitely easier to shop for than my dad. My dad rarely gives off any hints of something he'd like - and when he does it's always something extravagant to throw us off even more. 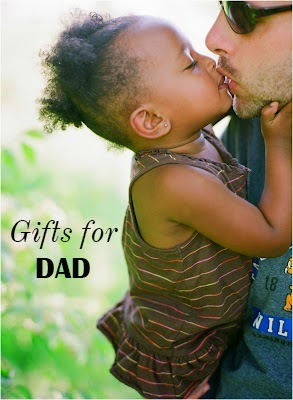 I searched high and low for some gifts that I think would be perfect for Father's Day! Whether you have a small budget or a large one, you can get your dad something he'll cherish. 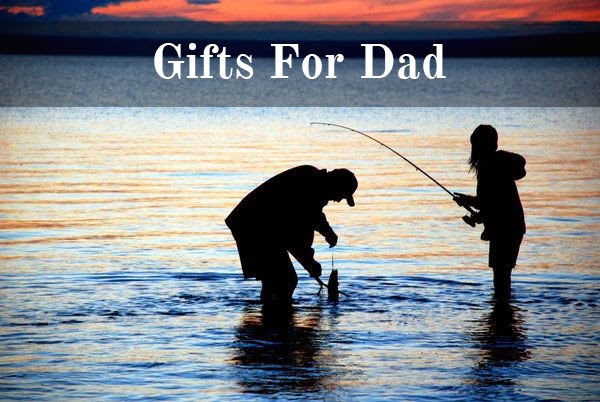 What do you plan on getting for your dad? I'm sure by now you know that I am a Kate Spade junkie. Seriously I love this brand. Every time the new arrivals are released, I spend at least an hour at the computer drooling over how perfect everything is. This new collection is no exception! Inspired by Havana, expect bright colours, classic shapes and lots of leather from this collection. I am in love. 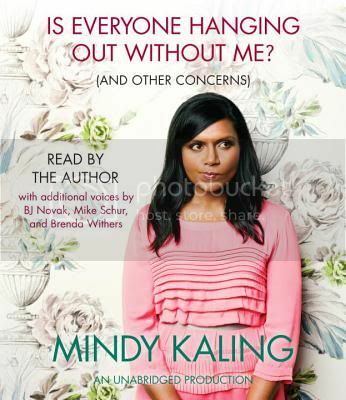 I already have a handful of items on my radar and I can't wait until they arrive! Seriously - how perfect? I'm beyond obsessed! 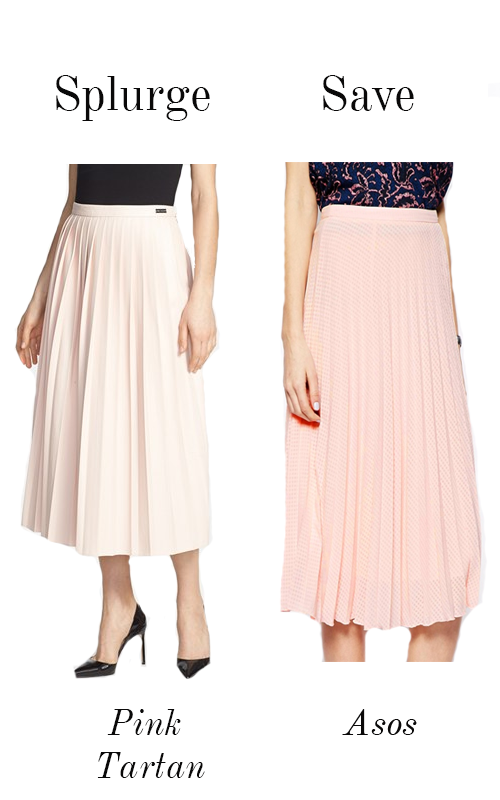 Shop my picks from the new collection using the widget! 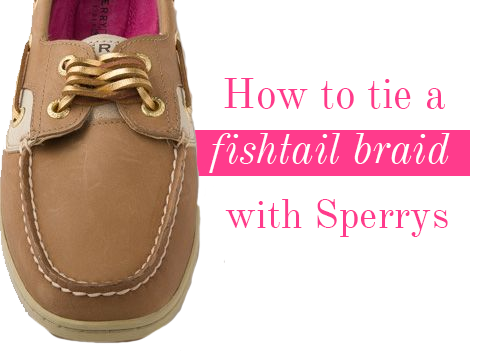 Over the weekend I saw a video by the Sperry brand on how to tie a braid that would prevent your laces from untying. Curious to see if it actually worked, I pulled out an old pair of Sperry's and decided to try it out. It's a fairly simple concept BUT the video was super fast and I quickly became confused. Fast forward to me hitting play and pause, frame-by-frame to make sure I had the steps right. In the end, it worked and the laces have not come undone since! I'm going to break it down for you today! My first ever GIF! What do you think? Will you try the Fishtail lace?